I'm not so familiar with this album, so when did you first discover it? 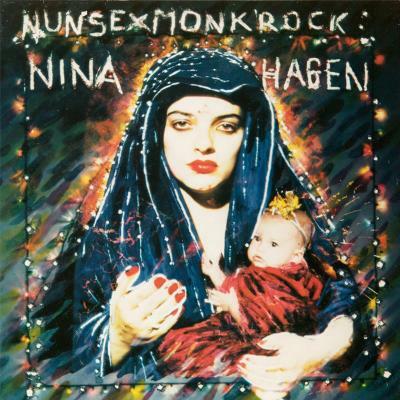 Nina Hagen came from East Germany so I was aware of her from the beginning of her career. She moved to West Berlin and worked with the German group Spliff as the Nina Hagen Band. They produced music in a nice, punk style and then she moved to the US after that and that is where this album was produced. For me, it represented punk going further, turning into cyberpunk. It's the sound of punk merging with higher technology, but still maintaining the attitude of that music. It's a long time since I've listened to this record but, technology wise, it was on a new level for its time. It's very well produced and she mixes German, English and even Russian language across it. It's very druggy too. For us, as East Germans, the lyrics are a lot more clear than they might be for other people because there are a lot of references to East German culture inside. At the end of one of the tracks, there is a reference to an old song called 'Der Kleine Trompeter', which is about an old communist who dies during a demonstration in the 1920s. In East Germany everybody knew this song but I think in the States or Britain, nobody would really understand. It's all done in a very abstract way so it's not too obvious.